The sharper the tools, the less force is required to use them. 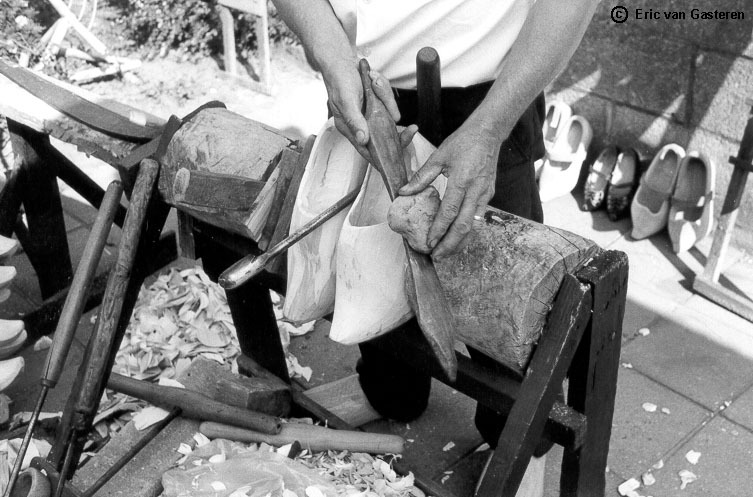 That's why the wooden shoe maker sharpens his knives not only before starting, but also while using them. Photo 38 shows that the previously mentioned wooden hone is treated with a stone. This is a piece of clay or a sun-baked sandstone which was already in use in ancient times as building material for inner walls of a house. Now and then, you can still find such stones at small farms usually around 100 years old. By rubbing this stone over the wooden hone, a powder-like dust remains that serves as an abrasive. 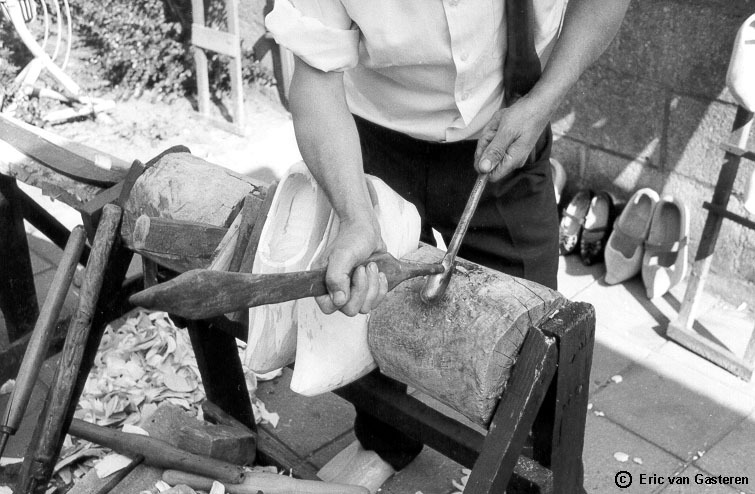 When the wooden hone is then used to rub over the knife's edges, they are sharpened. 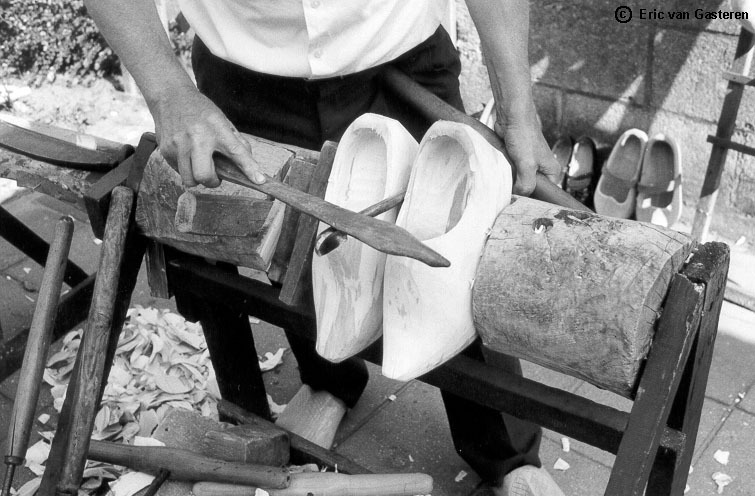 The wooden shoe maker calls this: "Het wordt zuiver van snee", literally translated: "It becomes pure of edge". Photo's 39 and 40 clearly show how the wooden hone may be used. The tip of the wooden hone for example, may be used to sharpen the inside of a drill.